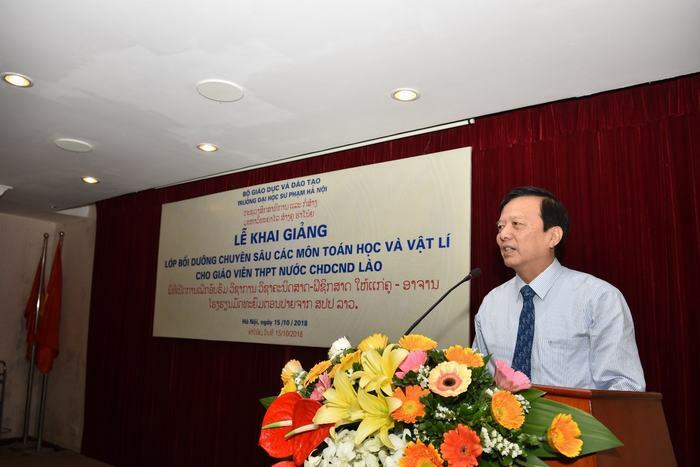 Hanoi National University of Education opens the intensive training course in Mathematics and Physics for high school teachers of the Lao People's Democratic Republic. 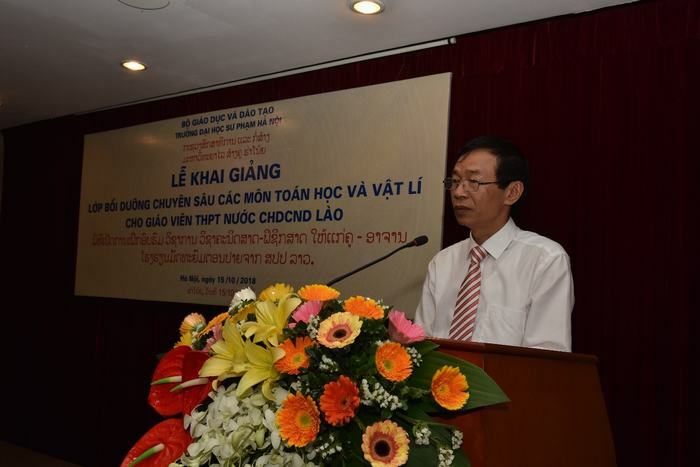 Within the framework of the cooperation program between Vietnam Ministry of Education and Training and the Lao Ministry of Education and Sports, the opening ceremony of the intensive training course in Mathematics and Physics for high school teachers of the Lao People's Democratic Republic was held at Hanoi National University of Education (HNUE) on October 15th 2018. 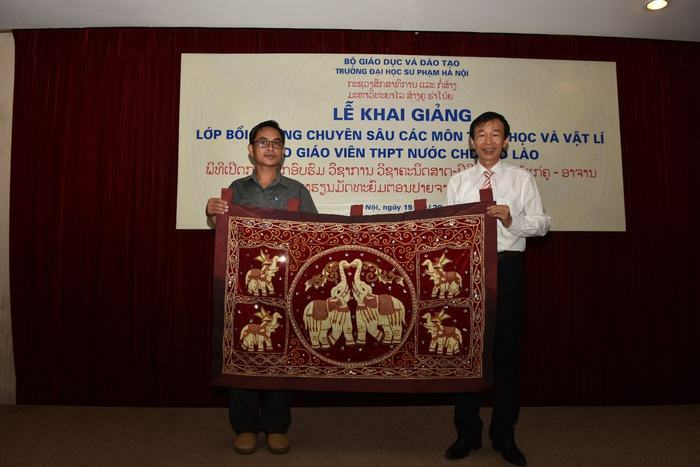 Attending the opening ceremony, on behalf of the Lao People's Democratic Republic, there was, on behalf of Ministry of Education and Training, there was Dr. Pham Chi Cuong - Deputy Director General of the International Cooperation Department, on behalf of Hanoi National University of Education, there were Prof. Dr. Nguyen Van Minh – the president of the university, Prof. Dr. Do Viet Hung – The University Board President, Assoc. 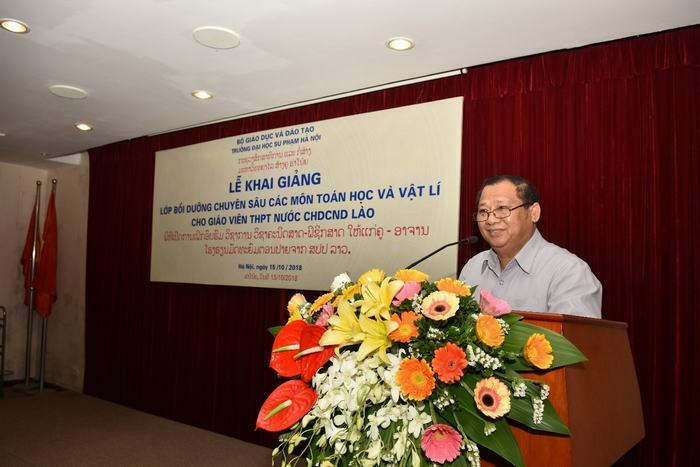 Prof. Dr. Dang Xuan Thu – Secretary of the University’s Vietnamese Communist Party Committee and Vice President of the university, the representatives of the offices, centers, falcuties and institutes of HNUE, 40 learners being high school teachers of the Lao People's Democratic Republican and the representatives of the Lao oversea students studying at HNUE. As it was planned, the course would take place within 10 weeks (5 lessons per week, 4 periods per lesson) from October 15th to December 21st  ,2018. 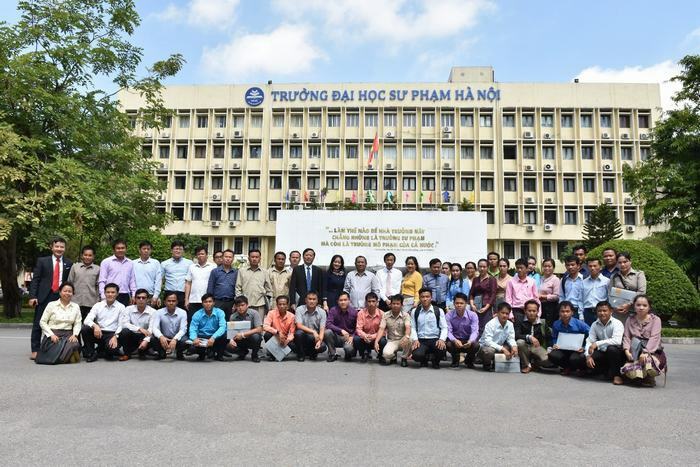 The course aimed a to further improve the professional skills of high school teachers of the Lao People's Democratic Republican, and to promote the friendship and cultural exchanges between Vietnam and Laos.